TRAMORE: Black Redstart at west end of boating lake. 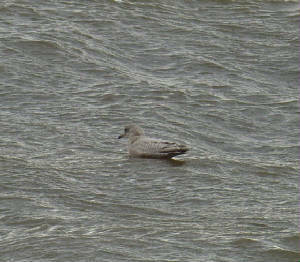 BOATSTRAND: 1st-winter Glaucous Gull & 2 1st-winter Iceland Gulls. 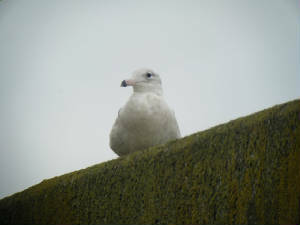 DUNMORE EAST: 4 Iceland Gulls (2 1st-winter & 2 2nd-winter) & a 1st-winter Glaucous Gull. 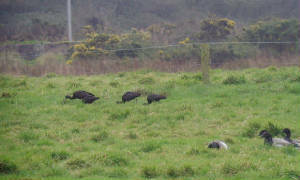 TRAMORE: 1090 Brent Geese in Backstrand, 2 Gadwall at Lisselan & 1 Gadwall on boating lake. 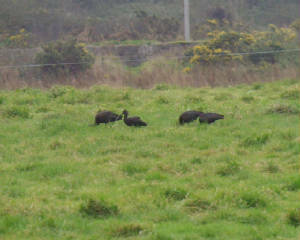 TIBBERAGHNY (Co Kilkenny): Pink-footed Goose, 364 Greylag Geese, hybrid (Bar-headed-type) goose & 56 Whooper Swans. 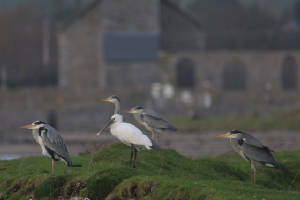 DERRIIGAL / PORTNASCULLY: 28 Greylag Geese & 12 Whooper Swans at Portnascully (Co Kilkenny). 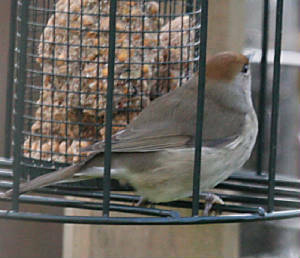 DUNGARVAN: Male Blackcap at Strandside, Abbeyside. KNOCKMEALDOWN MOUNTAINS: 4 Red Grouse calling. GLENMORE (nr Lismore): 5 Jays. 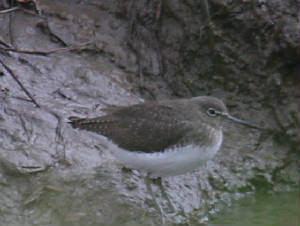 BLACKWATER CALLOWS: 2 adult Bewick's Swans and 2 Green Sandpipers at Ballyneroon, west of Ballyduf. 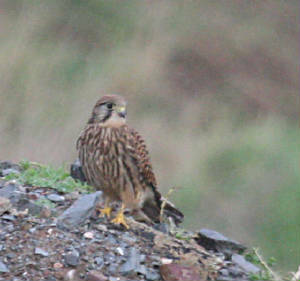 BLACKWATER VALLEY: Female Hen Harrier & 3 Yellowhammers at Newport East, Yellowhammer at Cappoquin. 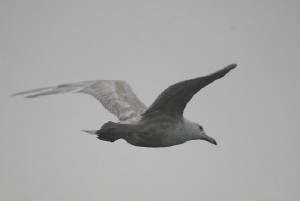 BLACKWATER ESTUARY: 1st-winter KUMLIEN'S GULL & 2 1st-winter Iceland Gulls at Tinnabinna / Kinsalebeg. 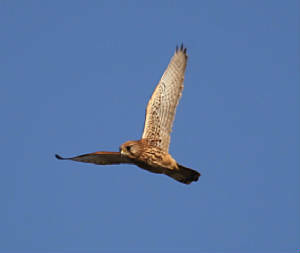 Nr WHITING BAY: 20+ Tree Sparrows at Springfield/Ballysallagh, male Hen Harrier. 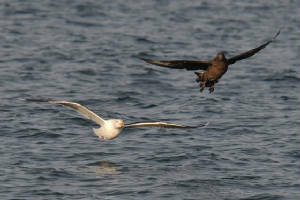 RAM HEAD: Pomarine Skua, 42 Common Scoter E (4 flocks), 13 divers W, Fin Whale, Minke Whale & 100 Common Dolphins. 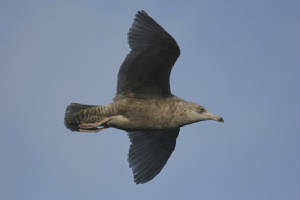 HELVICK HEAD: 1st-winter Glaucous Gull & adult Iceland Gull, 15 Common Scoter W.
DUNGARVAN: 2 BLACK-NECKED GREBES & 2 Long-tailed Ducks at Ballinacourty, 2 Chiffchaffs in town, 9 Chiffchaffs at Knockanpower Lower, Ring. 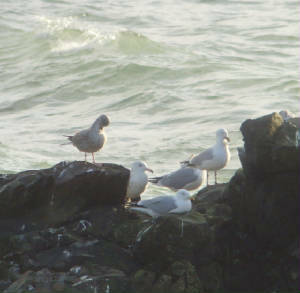 CLONEA STRAND: 3 Black Redstarts at Ballinclamper, 1 Black Redstart at Ballynacourty lighthouse, 2 Whimbrels at Ballinard. 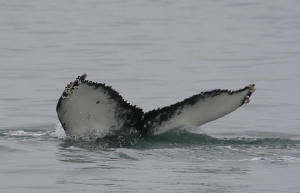 Off DUNMORE EAST: Adult Mediterranean Gull, HUMPBACK WHALE & 4 Fin Whales. 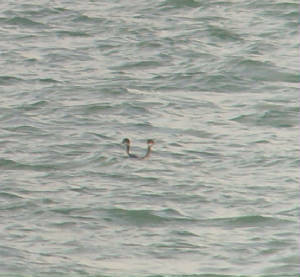 DUNGARVAN: 2 BLACK-NECKED GREBES at Ballynacourty, 2 Black Redstarts in town. 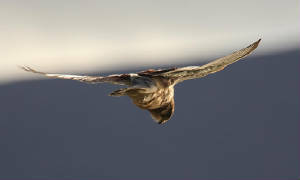 Nr KNOCKMEALDOWN MOUNTAINS: Female/immature Hen Harrier. 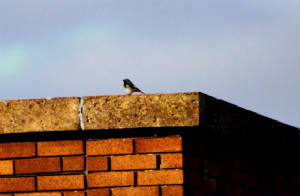 DUNGARVAN: Black Redstart in town. 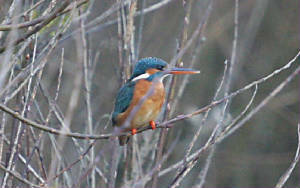 DUNGARVAN: Green Sandpiper at Ballyneety bridge, Kingfisher at Barnawee. 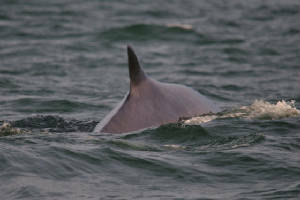 RAM HEAD: Fin Whale & 100 Common Dolphins. 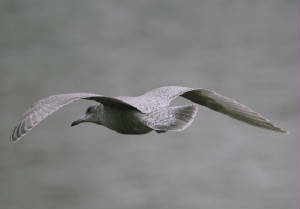 HELVICK HEAD: 1st-winter Glaucous Gull. 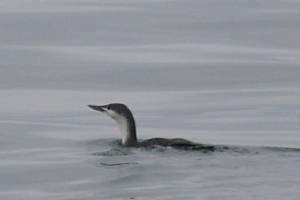 DUNGARVAN: 2 BLACK-NECKED GREBES, 109 Great Crested Grebes, Long-tailed Duck & 3 Red-throated Divers off Ballynacourty pier; SPOONBILL inside Cunnigar; 2 Black Redstarts in town centre; Chiffchaff at Knockanpower Lower, Ring; adult dark-bellied Brent Goose at Ballyneety; total 1870 Brent Geese around the bay (incl 890 at Ballyneety & 625 at Duckspool). 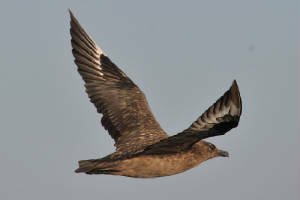 CLONEA STRAND: 5 Great Northern Divers offshore, Purple Sandpiper & adult Mediterranean Gull at Ballinclamper, 3 Whimbrel at Ballinard, & a Common Scoter SW past Ballyvoyle. 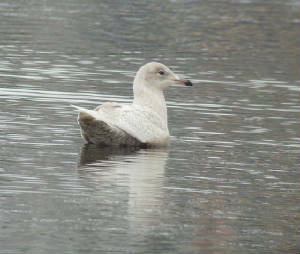 TRAMORE: 1st-winter Iceland Gull (video) & 25 Gadwall at boating lake, 2 Gadwall & a Shoveler at Lisselan. 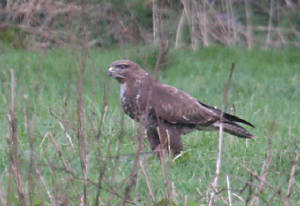 EAST WATERFORD: Buzzard most days recently. 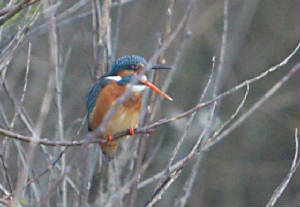 BALLYSHUNNOCK RESERVOIR: 4 Shoveler & 2 Otters. 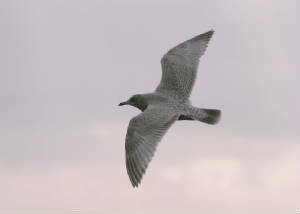 BOATSTRAND: 1st-winter Iceland Gull & 1st-winter Glaucous Gull. 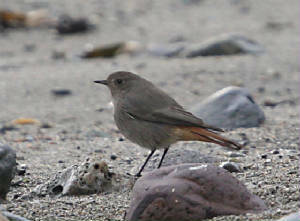 CLONEA STRAND: Black Redstart at Ballinclamper. 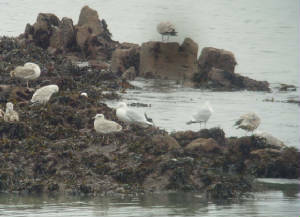 DUNGARVAN: SPOONBILL at Cunnigar tip, 3rd-winter Yellow-legged Gull at Killongford. 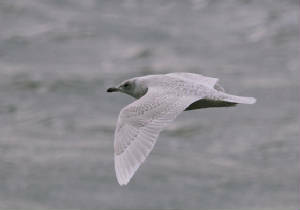 HELVICK HEAD: 1st-winter Iceland Gull & 1st-winter Glaucous Gull. CARRIGNAGOUR (nr Lismore): 32 Redpoll. 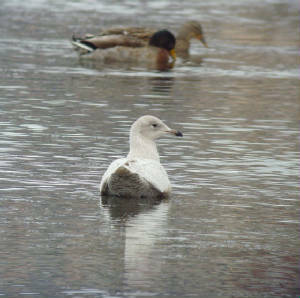 KNOCKADERRY RESERVOIR: Shoveler, 10 Whooper Swans & an Otter. 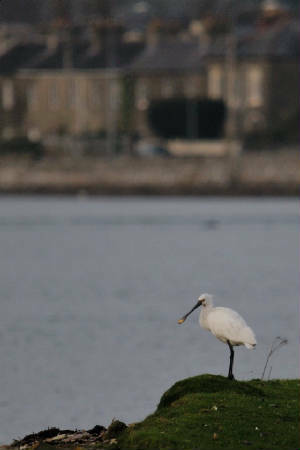 DUNGARVAN: SPOONBILL on Cunnigar opposite sports centre. 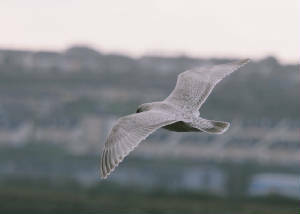 TRAMORE: 1st-winter Iceland Gull at boating lake, Merlin at Backstrand. 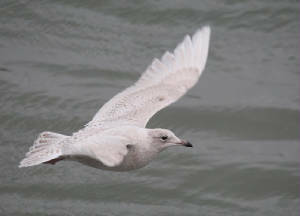 BLACKWATER ESTUARY: 1st-winter KUMLIEN'S GULL (video), 1st-winter Glaucous Gull & 2 1st/2nd-winter Iceland Gulls at Tinnabinna pier. 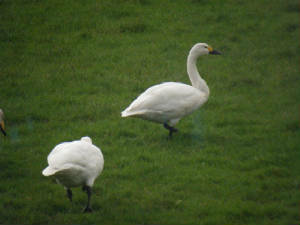 BLACKWATER CALLOWS: 33 Whooper Swans & 2 Bewick's Swans (video) east of Ballyduff. CARRIGNAGOUR (nr Lismore): 2 Crossbills in garden, including singing male. 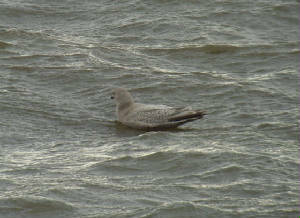 HELVICK HEAD: 1st-winter Glaucous Gull at pier (video) . 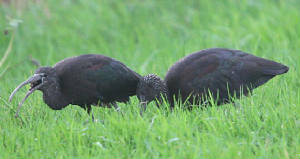 DUNGARVAN: 5 GLOSSY IBISES (4 still in field opposite Friary College, 1 flying over Country Life shop), SPOONBILL off pitch & putt course, adult dark-bellied Brent Goose at Ballyneety, 6 Great Northern Divers off Ballynacourty pier, Green Sandpiper at Brickey canal. 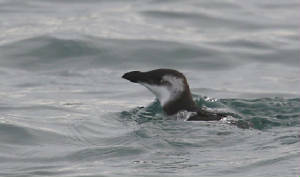 CLONEA STRAND: 5 Great Northern Divers & a Black Redstart at Ballinclamper. 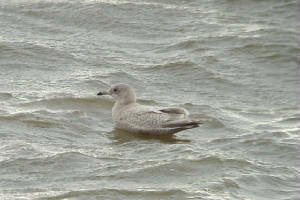 TRAMORE: 1st-winter Iceland Gull at boating lake, 800-1000 Brent Geese at Lisselan. 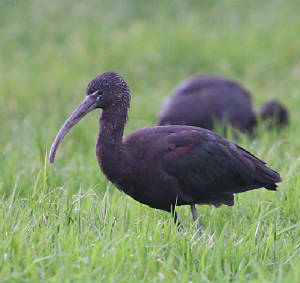 DUNGARVAN: 4 GLOSSY IBIS (video - also here) at Duckspool, near Kilminnin. 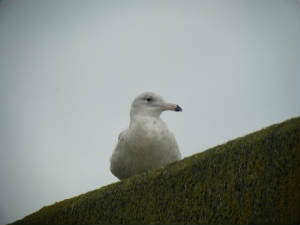 BLACKWATER ESTUARY / YOUGHAL HARBOUR: 1st-winter KUMLIEN'S GULL (video), 3 Iceland Gulls (2 1st-winter & a 2nd-winter), 2 1st-winter Glaucous Gulls & 2 Yellow-legged Gulls (adult and 3rd-winter) at pier on Co Waterford side of Youghal bridge. 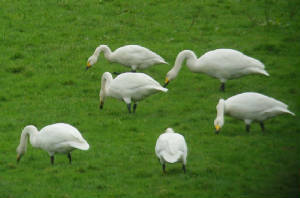 BLACKWATER VALLEY: 76 Whooper Swans at Camphire. 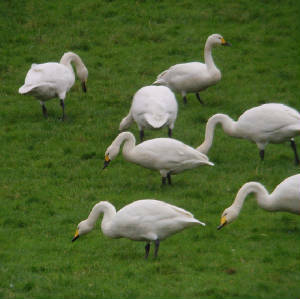 BLACKWATER CALLOWS: 39 Whooper Swans & 2 Bewick's Swans (video) between Lismore and Ballyduff - apparently first confirmed Bewick's in Co Waterford in over 11 years. 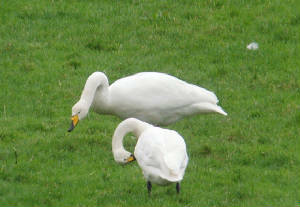 Total of 85 Whooper Swans along Callows, also 6 Shoverer, & 2 Green Sandpipers at Ballynerroon, west of Ballyduff. 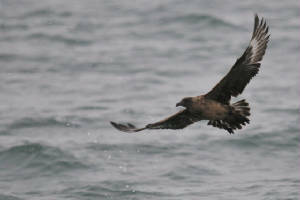 DUNMORE EAST: Great Skua & 3 Common Scoter offshore, 1st-winter Glaucous Gull. 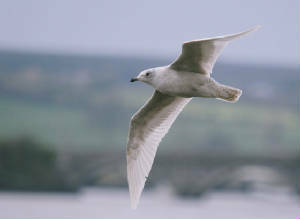 BLACKWATER ESTUARY: KUMLIEN'S GULL on Co Waterford side, just SE of bridge - 1st county record of this subspecies of Iceland Gull. 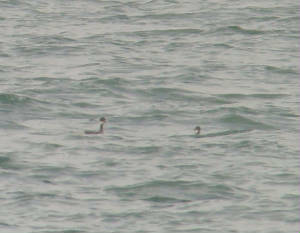 DUNGARVAN: BLACK-NECKED GREBE, Slavonian Grebe & 2 Long-tailed Ducks off Ballynacourty. 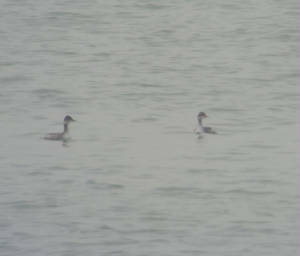 TRAMORE: 31 Gadwall at boating lake. 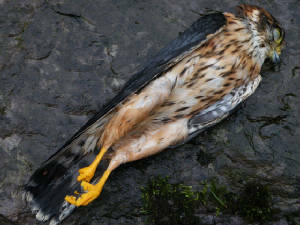 Nr CARRIGNAGOUR: Male Merlin found dead. 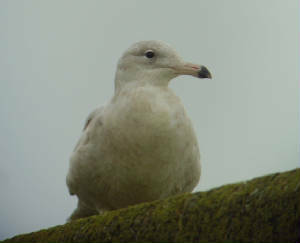 DUNMORE EAST: 1st-winter Glaucous Gull & 2 Iceland Gulls (1st-winter & 3rd-winter). 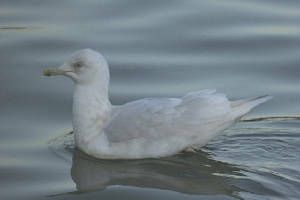 TRAMORE BOATING LAKE: 1st-winter Iceland Gull. 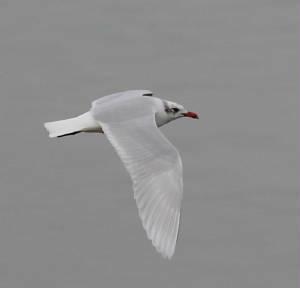 DUNGARVAN: Adult Mediterranean Gull at Barnawee. 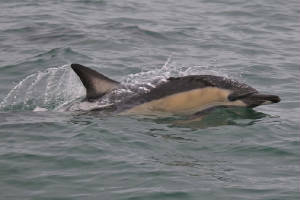 RAM HEAD: Red-throated Diver, Fin Whale, 30 Common Dolphins & 2 Porpoises. 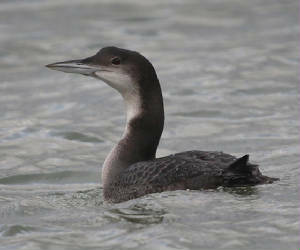 DUNGARVAN: BLACK-NECKED GREBE & Slavonian Grebe off Ballynacourty, adult Mediterranean Gull at Ballyneety, 3 Otters between pitch & putt course and the Cunnigar. 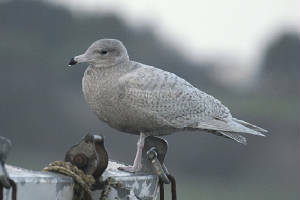 DUNMORE EAST: 1st-winter Glaucous Gull. 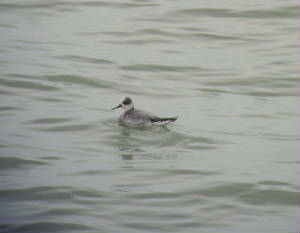 DUNMORE EAST: Grey Phalarope (video), 1st-winter Glaucous Gull (video) & adult argentatus-race Herring Gull at pier. 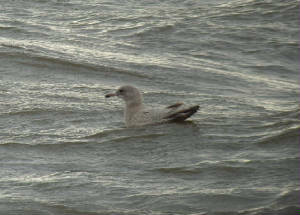 TRAMORE: 1st-winter Iceland Gull (video) at boating lake. DRUM HILLS: 2 Crossbills near Knocknaglogh Lower. ARDMORE: Adult Mediterranean Gull at harbour. CARRIGNAGOUR (nr Lismore): 20+ Redpoll. KNOCKMEALDOWN MOUNTAINS: Red Grouse & a Red Deer stag (escapee?). CLONEA STRAND: BLUETHROAT at Ballinclamper. WATERFORD CITY: Chiffchaff in garden. 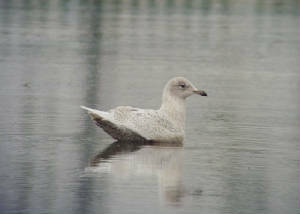 TRAMORE: 1st-winter Iceland Gull at boating lake. DUNGARVAN: Male Brambling at Strandside. 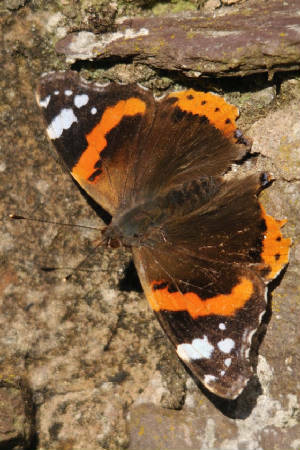 CARRIGNAGOUR (nr Lismore): Chiffchaff & Red Admiral. CLONEA STRAND: BLUETHROAT & 3 Black Redstarts at Ballinclamper. 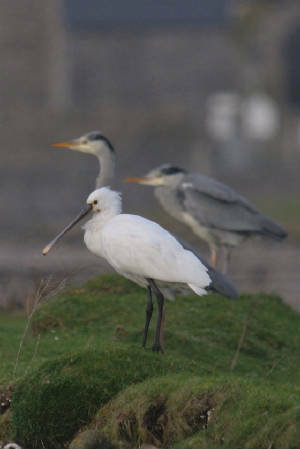 DUNGARVAN: SPOONBILL near the Cunnigar. CLONEA STRAND: BLUETHROAT & 2 Black Redstarts. 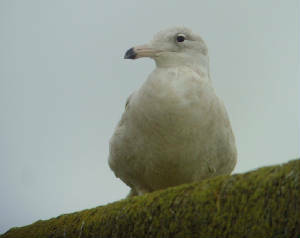 DUNMORE EAST: 2 Glaucous Gulls (1st-winter & 2nd-winter) & a 3rd-winter Iceland Gull. 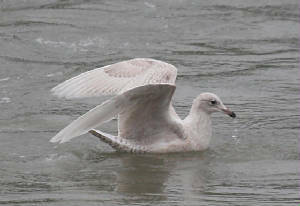 DUNGARVAN: SPOONBILL in western bay, 2nd-winter Mediterranean Gull at Ballynacourty. 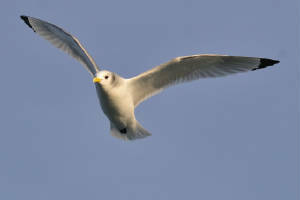 ARDMORE: Adult Mediterranean Gull in harbour. 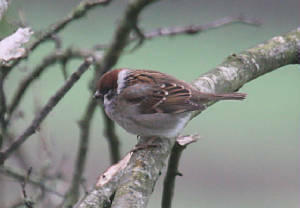 WHITING BAY: 20+ Tree Sparrows at Sprngfield Lower. KNOCKMEALDOWN MOUNTAINS: 3 Woodcock near Ballysaggart, Red Grouse calling (also fresh droppings). 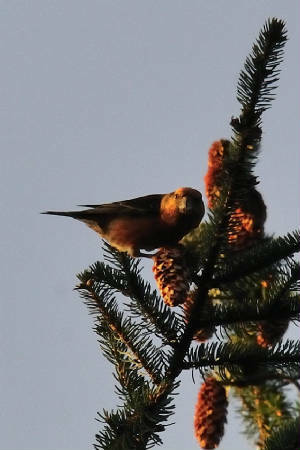 CARRIGNAGOUR (nr Lismore): 7 Crossbills in garden. 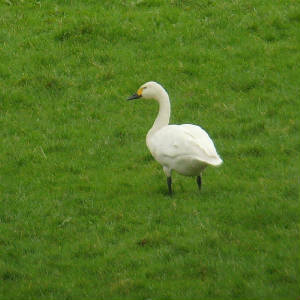 BLACKWATER VALLEY: c30 Whooper Swans at Camphire, c10 Yellowhammers at Ballynabrack (nr Clashmore). DRUM HILLS: 5 Crossbills between Toor North & Ballynaparka. 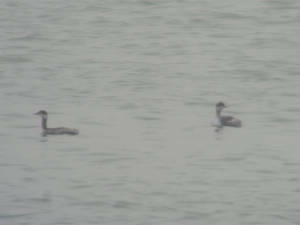 DUNGARVAN: SPOONBILL at the Cunnigar, Slavonian Grebe at Gold Coast, female Pintail off pitch & putt, adult dark-bellied Brent Goose at pitch & putt, 3 Chiffchaffs at Knockanpower, Blackcap at Abbeyside. 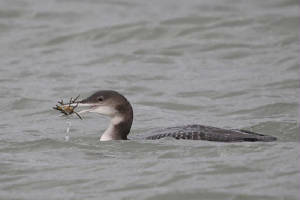 CLONEA STRAND: BLUETHROAT (video), 3 Black Redstarts & 2 Purple Sandpipers at Ballinclamper. 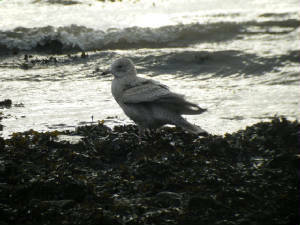 SEAFIELD: Merlin & 2 Chiffchaffs. 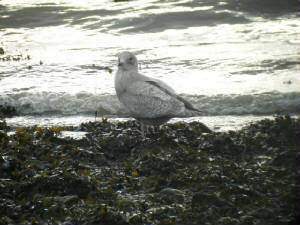 DUNMORE EAST: 2 1st-winter Glaucous Gulls & 8 Purple Sandpipers. TRAMORE: 37 Gadwall & Merlin at boating lake, dark-bellied Brent Goose at Lisselan, 2 Shoveler in backstrand, 2 Black Redstarts at west end of beach. COOLFIN: Greylag Goose with neck-collar 'NBX' - previously seen here in December 2005 and December 2009, originally ringed as an adult female in Iceland in July 2000. 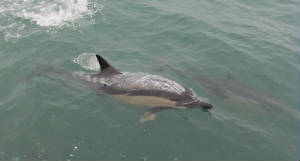 CLONEA STRAND: BLUETHROAT, 3 Black Redstarts, 4 Purple Sandpipers, 5 Great Northern Divers & 2 Common Seals at Ballinclamper. 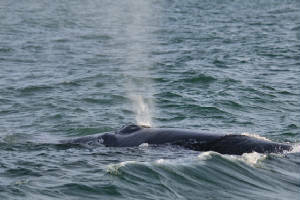 DUNGARVAN BAY: SPOONBILL near Youghal road, BLACK-NECKED GREBE, Slavonian Grebe & Merlin off Ballynacourty pier, 2 Long-tailed Ducks of pitch & putt course, dark-bellied Brent Goose at Ballyneety, 3 Chiffchaffs at Knockanpower Lower.